This was fairly quick to whip up, although I made one mistake. I planned to stitched the top seams up first and forgot (because I had to fill the bobbin and rethread the machine and I guess I lost my place). 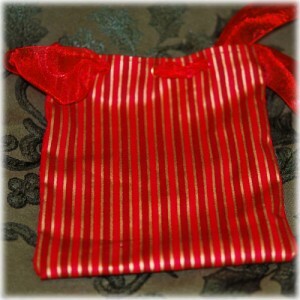 However, fortunately the bag was EXACTLY large enough to stitch the top even after it was sewn, thankfully! Cut the fabric 6 inches by 15 inches. Turn the short ends (the 6 inch sides) down about half an inch (approximately) and press with an iron. 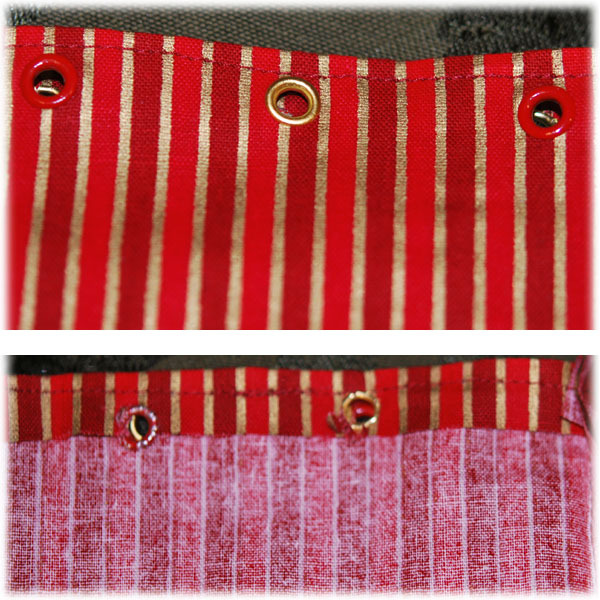 Then stitch them down fairly close to the top –you don’t want the stitching too low so that you don’t cut through it when you put your eyelets in. 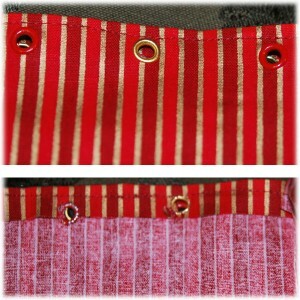 I used a thread that matched one of the stripes in the fabric, as this seam will show. I actually did forget to do this first, but this would make it much easier, and it’s what I planned to do. 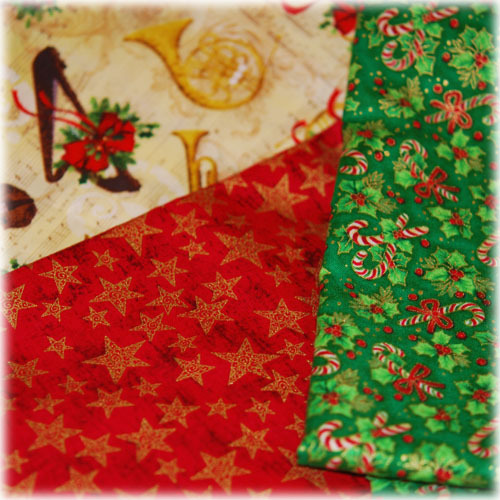 Next, fold the fabric in half, inside out, and match the top edges together. Be careful so that when you sew them they are straight. It was fairly easy to do with stripes. I started sewing at the top, and just stitched right on down to the bottom, and then came back up to the top and stitched the top up closer (I hope this makes sense) to make sure it was really completely sewn. I did this on both sides. Turn it right side and admire your work! Yes, it’s very pretty. Now, you can get a little nervous for just a moment thinking, you are getting ready to poke holes in your pretty little bag! But it will be ok. This is going to work! I put 3 eyelets on each side. The easiest way to measure (because it’s not nice easy math, it’s fractions and well, who can do fractions?!) is to fold it in half, put one in the middle and then fold each of the sides in half and put one there. Don’t worry if it’s not perfect. If the person you give this to measures it and complains just take them off of your guest list for next time. Seriously. Put the eyelets down below the seam though, because otherwise you will cut through the stitching and that will be a problem. To put in the eyelets, take your eyelet tool, use the pointy punch part and poke a hole where you want the eyelet in the right side of the fabric. Then put the eyelet (with the finished looking side of the eyelet going down first and the unfinished looking part of the eyelet facing up on the tool) on the tool. Put the tool (with the eyelet on the tool as you just placed it) into the hole you just punched and then squeeze it. 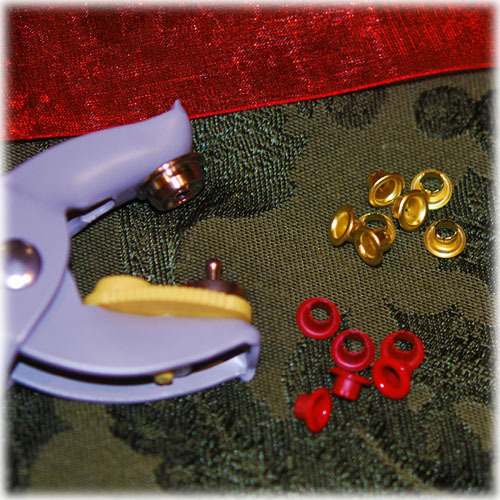 It should crimp the eyelet onto your fabric and the crimp will be on the inside. Now, I recommend you try one on a scrap piece of fabric first, just to see. It sounds a lot more complicated than it is. It’s really kind of fun. In fact, I try to find things to use eyelets on. Yeah, I know, I’m a little weird. 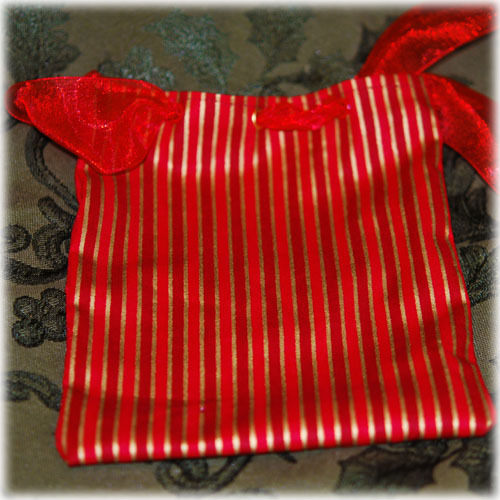 Now just dash your ribbon through the eyelet holes, place your gift inside, tie a beautiful bow and there you are! I think it took me longer to thread my bobbin and sewing machine than it took to make the rest of the bag. I need to make about 16 of them and I think I will make more if I don’t get too tired of it. They seem like a good thing to have on hand. 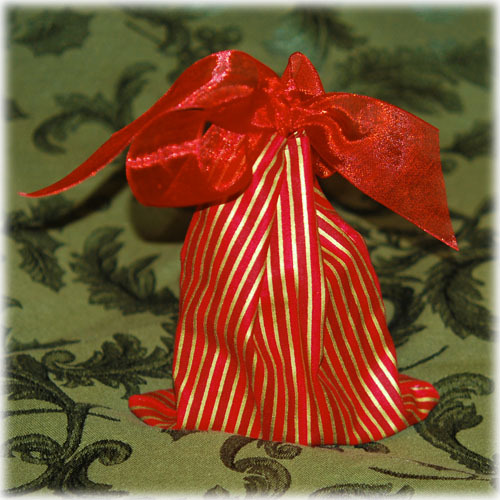 I know people make little gift bags, so these aren’t all that original, but I was pretty amazed that they were as easy as they were. I bet they will be very appreicated, the fabric is beautiful :). I’ve got one of these eyelet tools but never used it, maybe I should, the bag looks really pretty.